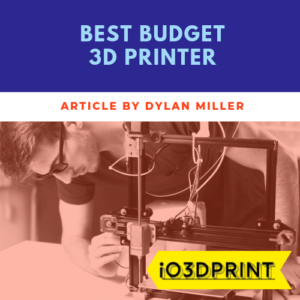 3D Pens are the most affordable and most accessible way for you to enter the exciting world of 3d printing. You can use 3D pens to create art, sculptures, models, or as a DIY tool to create functional parts. Unlike a 3D printer, you don’t have to pre-plan your design; you can start ‘writing’ straight away with complete freedom to take your design wherever you want it to go. 3D pens’ popularity has exploded over the last few years with hundreds of brands now competing to make the best, easiest to use, cheapest, and most feature-packed 3d pen. In this article, I’ll explain how 3d pens work so you can learn what you need to look for when buying one. I’ll review the best 3d pens currently available which will make it easy for you to choose the best one to suit your hobbies and interests. Using a 3D pen is as easy as drawing or painting except the ink turns solid and your pictures come to three-dimensional life. They work by melting a thin strand of plastic to turn it to liquid. You write with this liquid plastic and almost as soon as it comes out of the pen it cools and becomes solid again. 3D pens are so popular because they are such a unique way of creating art and crafts. They are also easy to use and relatively inexpensive. Instead of reviewing every 3D pen on the market and presenting you with a long list to read through, I’ve selected the top eight 3D pens. All of the 3D pens I’ve reviewed are reliable and easy to use, and each model offers something a little different. I’ve categorized the options so you can quickly pick the 3D pen that suits you and your needs. The LEVIN 3D model pen is USB powered and best suited to PLA filaments. It works using a hard-wearing ceramic nozzle and features an intelligent temperature control system. Children can use the Levin pen from 8 years and above with adult supervision. The Levin 3D pen is a nice looking black and white pen with a unique bulky, easy to hold shape. It has visible features like a USB charging port, an LCD screen with a function indicator, buttons for load/ unload/pause filament and the heater nozzle. Its unique shape gives it a comfortable to hold design making it quite suitable for both kids and adults. The 2019 model is an upgrade of its previous versions with a few improvements that make it even safer and easier to use. ABS material is used in the construction of the pen, which is known for its long lasting performance. It is impact resistant so it won’t break very easily even when dropped on to a hard surface. Levin 3D Pens use PLA filaments which are environmentally friendly since they are derived from plants. PLA emissions are non-toxic too and will not irritate you. Using PLA filament in your 3d pen is great for your peace of mind, especially if you’re buying the pen for your family. Safe to use – The upgraded version has new features including an additional two finger protectors and intelligent temperature control that ensures the pen doesn’t overheat. There is also a fast heat dissipation technology that keeps you protected as much as possible. Non-clogging – Clogging can be quite annoying when the filament refuses to come out. The new and improved version of the Levin 3D pen comes with a smooth interior and an aircraft grade ceramic nozzle capable of enduring high temperatures. These features ensure the PLA filament doesn’t stick or attach to the nozzle. High-performance – with a stable and robust motor that delivers stable rotation speeds, the Pens’ output is quite steady and smooth. Compatibility – the Levin 3D pen is created for PLA filaments but is also usable with ABS filaments as well. It can also adjust to 3 different speeds that correspond to 3 different operating temperatures, a feature that most pens don’t have. The pen also works with a variety of colors and shades. You get a mix of 12 colors mainly red, yellow, green, blue, orange and their blends too. Warranty – the Levin 3D Pen gives a 30-day money back guarantee and a 12-month warranty in case of any problems. It also comes with easy to follow instructions for operation, so you can’t get lost. The 3doodler Start Mega 3D pen uses warm nozzle technology for its operation in combination with eco-plastic filaments that melt at a much lower temperature. These features make it a very safe pen for users between the ages 6 to 13 since it has no hot areas that could cause harm. It’s also an excellent tool for STEM learning. It has no hot parts, meaning less precaution is needed since there is no risk of burning. Kids can handle it by themselves with minimal supervision. It’s easy to create with as the eco-plastic hardens almost immediately after extrusion. The pen operates with only one speed and one temperature saving your kids the hassle of either increasing or lowering speed and changing temperatures all the time – that’s too complicated! Has one big ON orange button and the filament flow is automatic, so it’s super easy to use. No clogging or jamming which makes printing continuous and fun. There is also less threading of filament. The eco-plastic filament is biodegradable hence much better for the environment and our health in terms of emissions. The kit comes complete with eight mixed eco-plastic filament colors, micro USB charger, unique doodle blocks, and the pen itself. The pens’ design makes it’s a tactile learning toy which inspires creativity in kids. The 3Doodler Start has a reduced or minimal buying risk as it comes with a 360-day replacement policy. The company also offers a 24-hour global customer service that you can contact for any assistance or complaints. The 3Doodler Create+ is a premium pen suitable for young adults above 14 years. The Create+ Pens uses its own non-toxic plastic, flexible, ABS, and wood-filled filaments. It also offers excellent control so you can be highly accurate when creating your designs. The pen operates on a dual drive motor technology and an included AC adapter supplies the power. The 3Doodler Create+ is the first 3D printing tool to feature dual-drive technology that incorporates more than one motor. The dual drive feature leads to a much faster flow of filament. You will see it’s an improved tool in terms of power, reliability, and durability. These factors will deliver a superior doodling experience. Dual drive technology for an ultra-smooth and enhanced experience in doodling. The new technology used in the feed mechanism reduces the risk of clogging, improves speed control, and produces very detailed results. It also enhances compatibility with an array of different plastic types and comes with optimized temperature control. The Create+ can only use compatible filaments made to the Create+ specification. It only supports 3Doodler’s 3mm non-toxic plastic, Flex, wood plastics, or ABS that must have been manufactured either in the USA, UK or Spain. The filaments are available in over 70 colors so you can get as creative as possible. Suitable for adults and teenagers 14 years old and above. It’s a professional pen that requires some practice and care to use due to the hot nozzle tip. It’s a very flexible tool, and the possibilities of what you create are limitless. You can design wearables, decorate your space, make art, fix things or play around with your imagination and create unique items. No special skills are required to use the pen. It’s simple and beginner friendly. You also get a well-written but brief instruction guide in the package. Customers are well taken care of by 3Doodler as the company has a 24-hour available customer support service for all your queries. The kit comes with a generous 600ft of filament and stencil activity guide. Available in new glossy monochromatic colors. If you use ABS filament the emissions from the hot filament can have an irritating smell so you should work in a ventilated area. All PLA based filaments are made from plant-based materials and are safer to use with a pleasant odor. The MYNT3D PEN model uses FDM/FFF print technology with ABS filaments on a modular nozzle to ensure quality results. It’s USB powered with a large OLED display and offers step-less speed control. As it only requires 2A from its USB power source, you can use most cell phone chargers and power banks to power the MYNT3D even if you’re on the move. For hobbyists and professionals, the MYNT3D is a high-quality 3D printing pen featuring a sleek, rectangular lightweight design that you can easily hold while using. Its body is white with a black head and a nice functional tip. This professional pen has it all when it comes to adjustable speeds and temperatures, and it also features a large OLED display that shows you the temperature and speed settings. The MYNT3D has just about everything you need for a quality and professional work! The pen has adopted 3d printing FDM technology which is known for its accuracy. The accuracy of the pen also makes it ideal for three-dimensional sculpting and spatial learning. You can adjust the temperatures in 1-degree increments so you can be sure you can achieve the optimum setting for your material and project. The modular nozzle design ensures that the hot end is easily replaceable should it ever stop working or become blocked, so you won’t need to replace the whole 3d pen. An OLED screen makes it easy for you to monitor temperatures so you can achieve a variety of effects on your work. Step-less speed control allows you to increase the speed for larger fill areas and then slow it right down for intricate detail. The ultra slim design gives it an ergonomic shape making it easy to hold and control while keeping the controls within reach. The pack comes with three colors of filament. Some filament is left inside after use, so you have to extract it before reusing. Can get hot near the tip. Needs practice before you can use it to its full potential. The TECBOSS 3D pen pro features a unique multi-filament capability allowing it to draw with 3 different colored filaments at once with the ability to switch between colors instantly. The main feature of the Tecboss allows you to quickly and seamlessly switch between colors without having to stop and re-load filament. The color switch feature can be a real time-saver, and kids love not having to pause their creative flow to change color. Both kids and adults can safely use the Tecboss pen. It works with either ABS or PLA filaments and has an OLED display with smart controls. A USB adapter also powers the Tecboss Pro pen. The intelligent Tecboss 3D pen pro is precisely what creative minds need. The pen is large but gives you a balanced hold with easy to reach controls. Being the first 3D pen supporting simultaneous three color-variation printing, you can create more unique items faster. The pen is available in a white body. It also features a black head with black control buttons. The Tecboss supports three colors at the same time. Thus you can create a multi-colored image or single colored. You can also decide to only use one refill and toggle between the three. The pen quickly heats up when powered on and produces very precise extrudes of mixed color. The extruded filament comes out as a blend of all the filled colors, but it isn’t bulky it extrudes at a precise 1.75mm diameter. 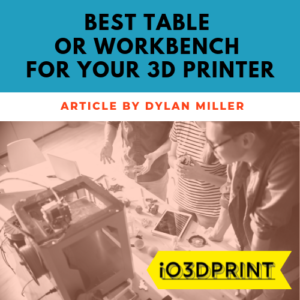 It uses both PLA and ABS filament making it less restrictive compared to other options. ABS material is used to construct the Tecboss Pro which ensures it’s strong enough to withstand the heat and any knocks or drops. Highly visible control buttons for temperature, speed, refilling, and extrusion make the pen easy to control. The extruder speed is adjustable. The temperatures range from 170 degrees to 230C. The large OLED smart display allows monitoring of your temperatures as you use. The entire pack comes complete with the 6.9” inch tall pen, a user manual to direct you on usage, USB power adapter for charging, two finger covers for protection, a PVC plate for drawing your images, and three different colored filaments. Saves time since you do not have to refill every time, you can toggle between the three colors that you’d like to use. The AIO Robotics Full metal 3D Pen model features an ultra slim and lightweight design. It is powered by either a USB cable or an AC adapter. 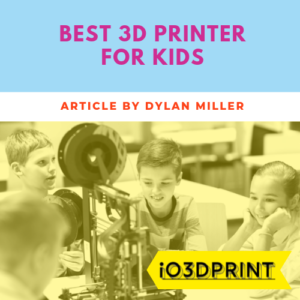 You can use PLA filaments and children above 5 years can handle it with ease. This high-quality pitch black pen with an ultra slim stylus design will facilitate easy and fast learning for kids. It is certified with the highest safety standards and features adjustable temperatures, independent extrusions, regulated speeds, and a comfortable to hold handle. Slim ergonomic design makes it a comfortable handle for all hand sizes. The control buttons are visible enough and well labeled for ease of use. The buttons also lay on the upper side of the pen making them an easy reach when adjusting settings. Speed controls allow regulation of material flow while crafting. Charges fast in about 3 to 4 minutes, so there is no delay on how soon you can start creating. The temperatures can be regulated to a very fine ratio of 1-degree increments to allow precise setting. Switching filaments is quite easy, and there is minimal to no filament wastage. The kit comes complete with the pen, PLA plastic filament in two colors, user manuals, and an AC adapter with its cable. The 1-year warranty offered reduces purchase risks too. The TECBOSS 3D Pen 2019 model operates using a hard wearing ceramic nozzle. It can be powered with a USB cable or a power bank and works using both PLA and ABS filaments. For a professional and highly intelligent 3D printing Pen, the most you want from it is ease of use, stability and ultimate control. As an upgrade of its predecessors, the TECBOSS 3D Pen 2019 model gives you just that. 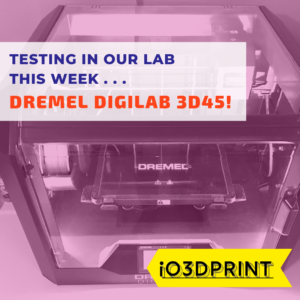 You just need to choose filament type, heat it, load the filament and get creative! 8 level speed control that will enable you to regulate speed from low, medium and fast depending on your filling. You can use two types of filaments; ABS at 180 – 200C and PLA at 160 to 180C. The pen works with a standard 1.75 mm filament diameter. Comes with two finger protectors that prevent you from burning while working. Very light at around 2 ounces. The TIPEYE 3D Pen 2019 model is among the latest 6th generation 3D pens constructed with aircraft-grade aluminum for ultra-sturdiness. It also uses PLA and ABS filaments. You can power it with a USB charger, and it’s suitable for children aged five years and above. The TIPEYE 3D pen is a functional and safe 3D pen for both you and your kids. With its low drawing temperatures, you are assured of safety and a ton of creativity as you explore your imagination on what to create. Constructed from durable aircraft-grade aluminum that keeps the machine stable for efficient use. The print temperature ranges from 180C – 220C. You can quickly fix clogs by removing the nozzle to clear it. Safety precautions include two finger protectors that users wear to avoid burns and a PVC plate to draw on so you won’t scratch or damage your work surface. It’s highly recommended for kids as it’s easy to use and less bulky than most pens. Also features visible controls including an LCD screen. Can be used continuously for a maximum of 3 hours. Comes with a well-written user guide so you can quickly find your way around the pen’s operation. The 7Tech 3D pen features a slender body. It also has an advanced unclogging mechanism which makes it an easy to use option for both kids and adults. You can Power it with an adapter and use ABS for your creations too. With a slender body, functional buttons, and features, the 7Tech 3D pen comes as an all in one tool for 3D pen printing. It has a comfortable to hold shape, adjustable controls, no jamming, and non-toxic filaments. Has a bulky but lightweight design that is suitable fit for both kids and adults. The advanced unclogging mechanisms incorporated in the construction can detect jamming and improve your drawing preventing an annoying chore. There is also advanced thermal control. The 3d pen heats up fast and temperatures range between 160 C – 230 C and you can adjust according to your suitability. Uses non-toxic ABS filament that gets heated up to extrude but cools down almost immediately to allow stable drawing on air. The ability of the filament to cool down almost immediately serves as a protection to our homes since once it’s dry, it won’t stick on surfaces, clothes or hair. The pen automatically cools off when left idle eliminating the possibility of starting a fire in case the user forgets to turn it off. Anti-jamming capabilities make the pen an easy maintenance gadget that lasts long. Also comes with a handy spatula to protect your finger from the heat of the hot nozzle.